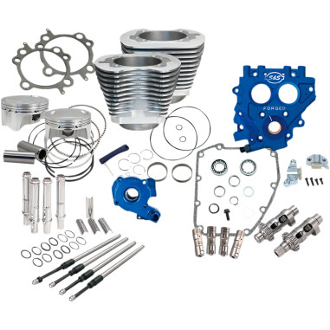 NOTE: 99-04 Twin Cams will require the additional purchase of valve spring kit PART #0926-2722. Pinion shaft runout must be less than .003" to use gear drive cams. Kit not available to fit 06 Dyna models. NOTE: Not for use with S&S 79cc heads.